Rock and Alpine Garden Society 2011 Western Winter Study Weekend in Sidney, BC from 25 to 27 February. 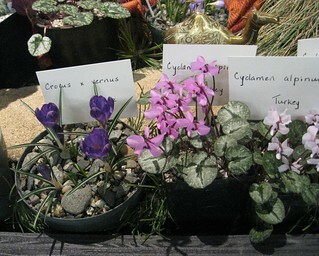 The theme was Plants Along the Silk Road. Sunday morning I listened to Stephanie Ferguson talk about garden design and plant selection for her Calgary rock garden - Sun, Stone and Water: Growing Exquisite Plants from Remote Alpine and Steppe-Desert Environments.